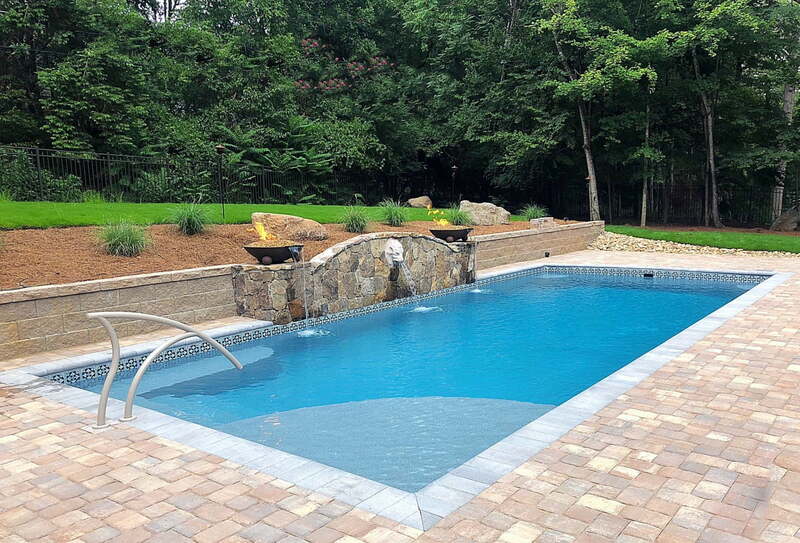 Great Lakes 37’0″ x 16’2″ Swimming Pool in Granite. Fire and Water features. Pentair Lion Heads.